Cicely Nelson is a violinist, educator, pilates teacher, dancer, and general somatic adventurer. With a wide range of educational and artistic experiences, as well as having lived a number of places, she brings a unique perspective to all that she does. She's also a recent Canadian transplant in Los Angeles, which is a new chapter in her career. I am impressed by all that she does and I can't wait to meet up with her and move the next time I'm in LA. C: My parents are very musical and music was a constant in my house growing up. 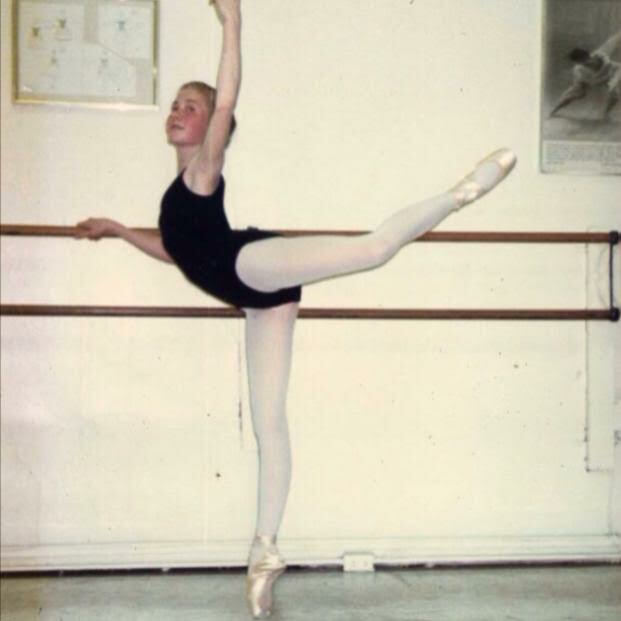 Dancing was really my first artistic outlet - I danced seriously (attending professional schools in Canada) and professionally until my early twenties (I am back to dancing now, after some time off, but not as much ballet). Dancing is a tough career though, and I think, in many ways, I was emotionally unprepared for it, and I found healing and strength in returning to therapeutic bodywork as a career while at university in New York. Music kind of slowly blossomed alongside that. So I'm not sure I even noticed at the time how helpful both conditioning and somatic work was for my playing! That I maintained my physical health was always kind of a given. Later, encountering so many musicians with physical issues, I really realized the value of the work I do! In New York I used to teach pilates to a big-name violinist. I'll never forget the day he asked me for a violin lesson – for the sake of his alignment of course, my head exploded nevertheless! K: When did you start music study as a child, as well as dance, and how did studying those two performing arts concurrently affect you then and now? C: Like I said, dance was very much primary, but music always alongside. I don't think musicians always think of dancers as musicians (but of course they are) - and, similarly musicians do have far greater command of their coordination and propriocention than they realize! My bodywork makes me super keenly aware of the physicality of playing - to the extent that it can occasionally be difficult to get into a state of flow where I'm just thinking of the music. But generally body awareness really helps my playing. K: How does the liberal arts degree factor into things? C: I didn't have much of a high school experience (due to ballet school), so college was really about studying anything and everything! Thankfully, I went to college in New York City so it was a tremendously stimulating place to kind of reroute my passions after the ballet career and, while I dabbled in premed and even contemplated going a more academic direction, I don't think it was really ever a question that I could stay away from the arts. K: You additionally have training in Suzuki- when did you start that? C: I was made aware of the really excellent Suzuki teacher training program at the school for strings in NYC after I finished my undergraduate degree. In all honesty, the program's approach sounded so similar to Pilates! The school really emphasizes creatively finding a slow, steady, systematic path for every single student, regardless of ability or learning style. The skills that I had gained in training people to move came in really handy in teaching children to play. It's really such a great program! Incredible teachers – I think of them every day that I teach, not only the amazing violinistic tips but their humanity – how they really prioritized developing the whole child as opposed to just a little prodigies, how art for them wasn't just about creativity and achievement but also about emotional health. This resonated with me as it wasn't a balance that was particularly well struck during my own childhood. K: How does have a somatic background affect the way you work with beginners and children? C: Oh wow, it's huge! Kids are so much more in touch with their emotions than adults, for a variety of reasons. Of course, they're not always able to understand or verbalize their feelings, but my awareness of how emotions manifest physically enables me to guide both their learning and performing experiences with extra sensitivity, I think. K: Who have some of your biggest teachers/mentors been, either in movement or music? C: I've been fortunate to study with some incredible mentors - in all of my endeavors. I've always sought answers very avidly and, for better or worse, impatiently - so, if one my mentors wasn't getting through to me, I would seek another answer. Of course the downside to this is that I have been a somewhat of a fickle student. In New York, I studied violin with Joey Corpus, who is just a total savant. He extremely creative about solving violinistic issues - he has no set system, his eye just seems to see. Also, somewhat ironically for a paraplegic, his instructions are extremely kinetic, an approach that resonated with me. In terms of bodywork, I absolutely adore Bonnie Bainbridge Cohen. Her work on embodied anatomy, living in our bodies instead of our minds, was and remains a game changer for me. Erika Bloom has been an incredible Pilates colleague and mentor. We met up in New York in 2006, where I was a member of the team that opened her first studio. It was so refreshing to work with someone who prioritized education and truly kept themselves and their team abreast of current anatomical and neuromuscular scholarship. I think that's becoming a more common model now, but not as much 10 years ago. I continue to work for her now, having moved to LA to open her first West Coast studio last January. K: What has the intersection of movement and music done for you? C: They are the same to me. Vehicles of expression that demand massive amounts of devotion, drilling, sacrifice, and self care. But pursuits that are more rewarding than anything under the sun. Being a musician makes me a better dancer and vice versa. Pilates, yoga, and bodywork are truly my therapeutic recourse personally, but also teaching is both something that fills me up and enables me to give back in a really tangible way. Of course performing arts make people's lives better, but that can sometimes feel somewhat abstract? In teaching Pilates I feel I can make people's lives better in the moment, which provides a nice counterbalance to the occasional loneliness of artistic pursuits. K: What are you currently fascinated with in your own movement practice and what do you want to learn more about? C: Oh that's such a great question. Last year, after a fairly stressful couple of years, I was working in the Caribbean and I had lots of extra time. My obsession then was limits – that I had always been focused on finding and pushing my boundaries and limits, but I wanted to take that time to find a real comfort zone – not pushing boundaries and leaning into ligaments, but really making my muscles stronger and becoming fluid and confident within my own skeleton. That was a really helpful direction to take and I do feel much more grounded now. Bonnie Bainbridge Cohen's work has been really influential recently, especially her studies on how we somatize emotion and, similarly, how movement is far more than a physical therapy, but also tremendously impactful on emotional, intellectual, and even spiritual levels. K: What are some upcoming projects? C: Playing-wise, I am getting in shape for orchestra auditions. Given the variety of my interests, even if I could win a full time orchestra job, that wouldn't so much be my ideal life, I'm more focusing on getting in better shape to that I can play with better pick-up orchestras? My dream is to meet some local chamber musicians, that is of course my favorite thing. I had that in New York - people with whom you play for fun but people who are serious and professional so that a bunch of gigs came our way and we actually did quite well in the classical nightlife scene there for a few years! In terms of dance, I continue to dance here in Los Angeles, mostly studying with both visiting and local Flamenco artists and performing a little bit, just casually. I'm still pretty new to Flamenco, so there is so much to learn! But what I especially love in this art form is that the dancer is the musician. I'm probably most deeply involved right now in getting Erika Bloom's studio up and running in the Brentwood neighborhood of Los Angeles. I'm really excited for what our studio can bring to this city! In my experience here thus far, Pilates is usually lumped in with fitness and the whole magic bullet/vanity industry, which of course it can be, but we offer so much more than that - a really holistic approach to wellness, movement, and fitness that is about so much more than this typically-LA obsession with looking good - and an approach that is directed by arguably the best education available in the industry at the moment. K: Thanks so much, Cicely! If you're into movement, you've probably heard of the concept of closed chain exercises vs. open chain exercises. If not, here's a starter definition- the "chain" is your kinetic chain, which according to NASM "comprises the muscular, skeletal, and nervous system," which I realize is not the most helpful definition. Let me continue though- movements can be open chain, meaning that appendages are free to move, or closed meaning hands/feet are in a fixed position. A closed chain move might be a push up or down dog, in which hands and feet are stabilized. An open chain movement would be a kettlebell swing or getup, or a simple chest press/overhead press, in which arms/hands are moving and not stabilized. Let's broaden this definition and look at what parts of the body are contacting the floor, apparatus, or are free floating. (Think pilates apparatus work, which limits range of motion and gives lots of proprioceptive feedback vs. pilates mat work in which hands and feet are often free). Open chain movements can be more challenging in terms of knowing where your body is in space, because there is less feedback from the environment or apparatus. Here's Simon Fischer stabilizing a student's violin, closing the chain, perhaps to focus on a left hand concept, alignment, or bow concepts. Let's apply this to musical teaching and performance now- in regards to your instrument, what parts are stable or contacting the floor (or chair) and which parts are free to move? As a violist, my feet contact the earth, and my hands contact my instrument, but it's an open chain practice in many ways because my spine, hips, knees, elbows, fingers, and shoulders are free to move, as well as my hands and fingers. A pianist however will have the contact of the feet, chair (underneath ischial tuberosities) and the contact of fingers and keyboard. This leaves the spine, head, neck, and shoulders free. A singer (or french horn player) will have significantly less environmental feedback from their instrument- they will be relying heavily on proprioception and interoception to assess their playing, breath, embouchure, etc. Some instruments are more "open chain" than others, demanding more heightened external and internal bodily awareness. What can we do to challenge this notion? Close the chain when possible and give yourself new feedback opportunities. Sit instead of stand (if possible) or vice versay to get an idea of the relationship between your pelvis, instrument, and chair. Lean against a wall or the back of a chair to focus on the movement of the ribcage while breathing or to notice the relationship of the scapula while playing. On violin, viola, cello, and bass, certain left hand positions are easier than others because of their relationship to the body of the instrument- for me, 5th position is strangely comfortable because of the feedback I get from the instrument. For many students, third position is stable because of the proximity to the neck and body of the instrument. The most obvious manifestation of these ideas is the usage of different tactile sensations in studying an instrument- many string students learn vibrato using a tictac container which creates a different kinesthetic experience away from the violin. You can also hear the shake of the container as an aural cue, although this is still very much an open chain exercise in many ways. Using a straw to create a bow barrier closes the chain, giving the student proprioceptive information about where the bow is (contact point) and whether or not is straight. When teaching or practicing, look for where you can open or close the chain to change sensation. Different chairs offer opportunities to introvert your attention, different standing surfaces can tell you what your lower limb is doing (I sometimes stand on a wobble board to get a sense of if my quads are gripping and how my feet are interfacing with the environment), and there are now a multitude of different devices out there to "close the chain" for musicians, offering opportunities for new kinesthetic experiences. If we think of the bow and instrument as appendages, making string playing an open chain experience, howcan we stabilize and then transition away from that? And what can you or your student learn from that? How can you apply this to other instruments or other movement practices? Just my early morning thoughts for a springtime morning. The levator scapulae are just two of many, many different deep muscles of the upper back and neck, which all work together to create movement in the neck and upper back. To find them on your own body, palpate the superior angle of your scapula (the innermost corner of your shoulder blade) and look for a muscle that runs diagonally to the lateral sides of the neck. Try lifting and lowering your shoulder blades and see if a muscle jumps underneath your fingers. You will definitely feel the middle fibers of the trapezius, which are superficial to the LS, but feel around with more pressure and see what you notice. What is the quality of the tissue? How does it feel underneath your fingers? Do you have pain or lack of sensation? Are there adhesions? 1. Manual Therapy: Massage is a critical part of self care and soft tissue health, yet few musicians can afford to get massage as regularly as they might need it. As a teacher of self massage techniques and Yoga Tune Up, I think self-massage can enhance proprioception and overall awareness of the body, while also supporting regular (or less frequent) bodywork. It's not meant to replace manual therapy, but merely give the practitioner an opportunity to continue the self-treatment beyond a session. I prefer soft, pliable stress transfer mediums (squishy balls over lacrosse balls or wooden or plastic implements) and for more information on self-massage, read here. My favorite sequences target the upper back musculature, the latissimus attachment sites, and the tempermental trapezius. Here’s a great video of YTU teacher Holli Rabishaw demonstrating “zombie with a twist" which is one of my favorite moves to do on the wall. 3. Neck mobility: Make sure that you’re bringing your neck through a wide range of motions, especially if you play an asymmetrical instrument. With the advent of technology, cell phones, driving...etc, most of us keep our head and neck in a very static position for hours a day. With all neck movement, slow gentle movement is critical, as opposed to violent cracking and popping. Neck circles can help, as well as lateral neck flexion coupled with rotation at different angles. If there is repetitive clicking or popping in the cervical vertebrae, stop the motion. Many physical therapists and movement teachers will instruct a neck mobility sequence- I don't have a video that I particularly love, but there are tons of resources available in books, in person, and on the web. 4. Dynamic shoulder movements: Along with daily mobilization of the neck, dynamic shoulder warmups can help increase bloodflow, maintain healthy ranges of motion, and warmup the upper body before or after playing. There is an infinite amount of movement possible at the shoulder, yet most of us only explore a fraction of what's possible in our day to day lives. Shoulder shrugs, shoulder circles, overhead motions, circumduction...anything that helps to move your humerus, clavicle, and scapula will help bring some movement to this area. Make shoulder movement a part of daily maintenance, not just something you do in your yoga class or lap swim. Here's one of my teachers, Jill Miller, demonstrating a brief warmup. 5. Self-examination: What are your habits? Do you carry a one sided purse or case and do you always use one shoulder in particular? Are you satisfied with your overall instrument setup? Can you carry less music in your case or bring a lighter bag with you ? Do you hold your cellphone with your shoulder? Do you always sleep on one side of the body or flex the head and neck while sleeping? Are the movements you've adopted while playing serving the technical and musical goals? Or are they hindering you? Consider video taping yourself playing or performing to observe what your tendencies are. When you are inquisitive with your assumed habits, both in playing and in the life, you can often find solutions to musical issues within your own body, as well as a new embodied awareness of what may (or may not) be serving you. Remember that when changing movement habits, your soft tissues need time to adapt to a new setup, case strap situation, exercise, or chin rest! Gradual change trumps extreme changes every time, especially when a pattern has been sustained for years at a time. This guy is using his LS to carry his cello, although he has a waist strap to try to distribute the weight better throughout the upper body. Although carrying a backpack will even out out the load between the shoulders (assuming the straps are the same length), both Levator Scapulae are working to hold the object in a fixed position. If you take a look at most musicians in the heat of performance, you’ll probably notice elevated shoulders, either asymmetrically or simultaneously. Sometimes it appears in an expressive moment of passion, especially with pianists, guitarists, and wind players, or other times it’s the result of setup or a one-sided instrument. In isolation, such a movement will have minor repercussions, but when coupled with shoulder and neck overuse and abuse from other movement choices, can spell disaster for two muscles known as the levator scapulae. As the name suggests, it elevates the scapula (on each side), but it also plays a significant role in neck movement, attaching at the transverse processes of C1-C4. Many violinists and violists turn the head out to look at the fingers, but over time, this can create stress and strain on the Left levator scapula! 1. Neck Position: Ideally, the head is not constantly turned to look at the fingers or fingerboard while playing the violin or viola, nor jutting forward towards the music stand. A head looking forward allows more freedom in the neck long term, as well as a reduction in tension along the left Levator scapula. Many images of violinists and violists feature an extreme rotation in the neck, often coupled with neck flexion! For more on chin rest alignment, read here. Although this image shows an elevated scapula to hold a phone, many violinists and violists elevate their shoulders to support their instrument! Other times, the right shoulder elevates in an attempt to enhance sound or emotion. 2. Shoulder elevation: Many violinists and violists find that they want to (or need to!) elevate their shoulders in order to grip the instrument. Over time, this can create restriction in the upper back and neck, as well as tension patterning that is difficult to relearn. It's always good to try different shoulder rest/chin rest setups to find one with the most ease and spaciousness in the neck and shoulders! The same can be true for brass and woodwind players as well-especially if the instrument is asymmetrical like the flute or trombone. Other instrumentalists may need to relearn their habits of expressive shoulders, and see if there’s a way to create a musical response without constantly elevating the shoulders or distorting the spine and head. 3. Carrying things: Most musicians have the carry their instrument on their back, either as a one sided carrying case or backpack. In order to prevent the object from falling, the levator scapulae have to lift the scapula up! Carrying large backpacks, heavy instruments cases, or purses on one shoulder can lead to asymmetrical issues, including impingement and compression. In part 2, we’ll look at how to address this muscle in movement and setup! The great thing about stock photos is that they're ridiculous. Who walks down the street in heels carrying their case on one shoulder and violin in the other arm? No one. But her left levator scap is working to keep that case up there! From Violinist to Physical Therapist: Talking With Arlyn Thobaben, D.P.T. Arlyn Thobaben is a professional musician turned physical therapist working in the San Antonio area. We have a number of mutual acquaintances from her time at Community Musicworks in Rhode Island, and as a body nerd, I truly appreciate the amount of work and dedication needed to transition from performing artist to healthcare professional. Kayleigh: What is your background in music and performance? Arlyn: I have been involved in music as long as I can remember. My two older sisters played the violin (and later, my younger sister) so it was inevitable that I would too! In high school, I took as many music classes as possible! I was in Orchestra, Chamber Orchestra, Show Choir and Cantorum, and even played the lead role in my high school musical. I began as a Music Education major at Baldwin Wallace University Conservatory of Music, but soon shifted my focus to Violin Performance with Dr. Julian Ross. I have always wanted to be a teacher, and my goal was to be the BEST teacher I could be! I completed my graduate studies at the Longy School of Music, where I studied violin and viola with Laura Bossert. Laura is one of the most incredible, life-changing teachers I have ever worked with. I believe that she planted the seed for my curiosity and fascination of the human body and how people learn to learn about the human body. She helped me transform my left hand technique to function with less pain and energy in a totally unorthodox, but truly effective way! Upon graduating from Longy, I started my musical career as a Fellow with Community MusicWorks. My work with CMW combined my interests in teaching, performance, and community involvement and was the perfect environment for me to cultivate my ultimate professional interests (see below). K: How did you first get interested in physical therapy? Did that interest come from being injured? Arlyn at Community Musicworks, circa 2008/2009. A: My first experience with physical therapy came through my own injury that hindered my ability to function as a musician. I woke up one morning and couldn’t move my neck. My left arm was tingling! I couldn’t teach or play. Luckily, one of my colleagues at CMW suggested that I call her physical therapist’s office. In Rhode Island, where clients have direct access to physical therapy (without the need for physician referral), I was scheduled and seen that same day. My physical therapists worked with me for a few months, until I was back to 100%. I learned so much about myself, and was touched by what I saw around me in that outpatient clinic. I witnessed people struggling with pain and rehabilitating from major surgeries, working through to reach their personal goals and get back to their lives with the help of a mentor who knew so much about the human body and how it moves. Soon after, I volunteered at the University of Rhode Island school of physical therapy and had my first exposure to a Parkinson’s exercise group. I watched a professor/therapist work with a woman in the later stages of Multiple Sclerosis, where the focus of problem solving around her functional activities transcended her grim diagnosis. After witnessing that particular interaction, I knew for sure that I wanted to use my talent and the strengths I developed as a musician to become a different kind of teacher—a physical therapist. K: How has your understanding of the body changed in your studies? How has your own relationship with your body evolved? A: I immediately became more reverent and awestruck by the human body through my work in cadaver lab (first semester of PT school, when the going gets tough and you have to learn how to use a scalpel and bone saw with ease). In working to help improve real problems with live bodies (clients), it helps to remind myself of that respect that I developed that first semester. I remember how everything works together and try to maintain a positive outlook, no matter how difficult the case. In other words, I think, “how is this spine, as is, trying to help my client get through their day? How can I create a window of opportunity to improve how it works?” vs. “my patient has severe lumbar spondylosis and it is causing a lot of pain. X-rays say it’s bone on bone. My exam says so too. What can I do to help fix this mess of a spine?" In looking at my relationship with my own body, I am hardly ever deeply bothered by an injury or pain. I try to approach my physical impairments with the same sense of curiosity and respect that I use with my clients. My training has taught me to think about the problem, reason through what is most likely to help, make a plan and then take action. K: What has been the biggest epiphany with your studies and work so far? A: The one idea that has changed my outlook on practicing physical therapy is this: the more complicated the client presents, the simpler it is to discover the appropriate treatment for that client. This provides hope for both clients and their physical therapists! I won’t go into great detail here, but just know this: as a client struggling with complex, severe or elusive injury or pain, you are more likely to find the right treatment with the help of a skilled therapist. K: What's one thing you wish musicians knew about health/wellness/the body? A: I believe that musicians who play an instrument should know that first and foremost, your own body is still your primary instrument! Take care of it as you would your violin (or insert your instrument here). Would you leave your violin in the car when it’s 0 degrees outside? Forget to rosin your bow for 3 months because you don’t have time? Taking care of your body with intention is just as important as practicing with intention. K: How do you plan on combining music and PT in your life? A: I hope to one day play a large role in facilitating access to physical therapy for student and professional musicians of all ages. A: I am currently practicing as an Orthopedic Resident with Texas Physical Therapy Specialists in Selma. (San Antonio, TX area) Andrew Bennett is my clinical mentor. Dr. Bennett is an expert clinician and teacher, and I am so excited to develop my practice and prepare for the Orthopedic Specialty with him! We are available to clients through physician referral OR for free screenings / consultations (no referral required.) You can also e-mail me directly at arlyn@texpts.com!